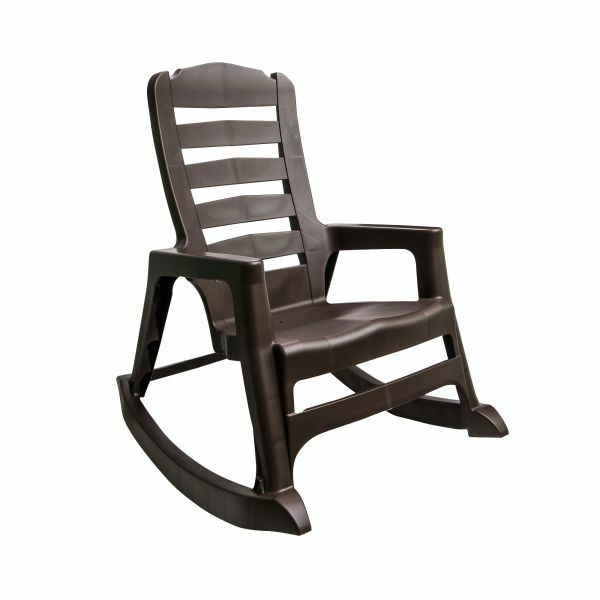 World’s First Stackable Resin Rocker Design! The first of its kind, Adams' Stacking Rocking Chair recalls the carefree days of summer, blending the best qualities of resin into an iconic favorite. From the porch to the deck, Adams' rocking chair is designed for long-lasting comfort. The curved seat and comforting back support delivers a relaxation that rivals the classic wooden rockers of yesteryear, incorporating a smooth and peaceful rocking action. More affordable and easier to maintain than wood, Adams' Stacking Rocker is built from high-quality resin for all-weather performance. Holds up to 350 lbs. Please check with your local retailer to confirm product and color availability.